Cardiologist Dr. Barry Cohen, Morristown , NJ , appeared on the ABC Nightly News on Valentine’s Day. Dr. Cohen was part of a team that saved the life of 4l-year-old Christine Newport, who had suffered a heart attack. Dr. Cohen says it took three electrical shocks before the ER staff could get the woman’s heart beating again. However, she was in danger of irreversible brain damage due to lack of blood flow to the brain. The ER staff used technology to cool the woman’s body temperature, preserving her brain. A month later, Newport is at home with her family. 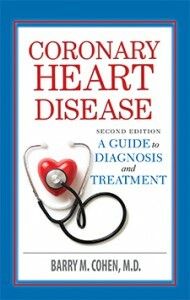 Dr. Cohen is author of Coronary Heart Disease—A Guide to Diagnosis and Treatment. 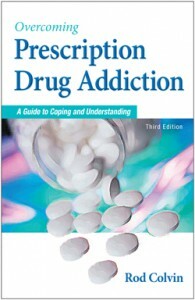 A third edition of Prescription Drug Addiction is scheduled for release in the Spring 2008. The newest edition will be titled Overcoming Prescription Drug Addiction. 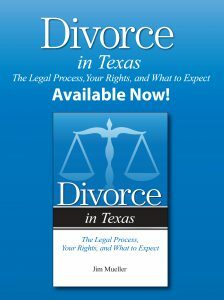 The first edition of the book was published in 1995.The book has a popular companion website: www.prescriptiondrugaddiction.com Prescription drug addiction is now one of the nation’s most serious drug problems, ranking second only to the use of marijuana. Dr. Daniel Dantini, the author of The New Fibromyalgia Remedy, has successfully treated nearly 10,000 patients over the last two decades. He’s convinced that viruses are the cause of fibromyalgia, a painful and often debilitating disease. 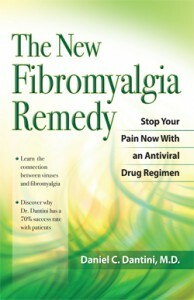 Approximately 4 to 6 million Americans have fibromyalgia. 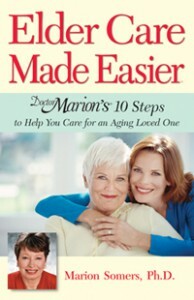 Dr. Marion Somers, author of Elder Care Made Easier, appeared on the Today Show in early February. Dr. Somers, known as Dr. Marion, is a geriatric specialist, who has counseled thousands of families about elder care issues. Within the past year, Dr. Marion has made a trek across the country, talking about elder care. Currently 25 percent of Americans are responsible for caring for an elder. And interview with Dr. Daniel Dantini, author of The New Fibromyalgia Remedy, appears in U.S. News and World Report. The magazine article features a series of questions and answers about treating the disease with anti-viral medications. Overcoming Urinary Incontinence—A Woman’s Guide to Treatment rolled off the press this month. 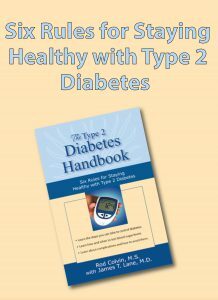 Part of the Addicus series of books on urinary problems, the book discusses a wide range of treatment options, including, medications, lifestyle changes, pelvic floor surgery, bladder training, bulking agents, and surgery. 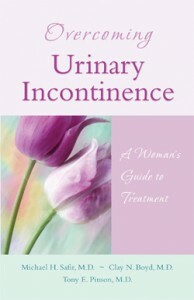 The book is authored by three leading urologists who specialize in treating female urinary incontinence. Dr. Tom Balshi, Pennsylvania prosthodontist, was featured on the Today Show this month as he replaced a man’s full set of teeth with “Teeth in a Day.” Dr. Balshi pioneered the dental implant technology to make the placement of permanent teeth in a day a reality. He is the author of The Patient’s Guide to Dental Implants. Ferdinando L. Mirarchi, D.O., Director of Emergency Medicine at the Hamot Medical Center in Erie, Pennsylvania, will have his study on living wills published soon in the prestigious Journal of Public Safety. This important study shows how the living will can represent a clear and present danger to the patient. 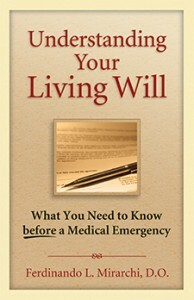 Dr. Mirarchi is the author of Understanding Your Living Will—What You Need to Know before a Medical Emergency.